The Moschino Cheap & Chic Fall Winter collection was quite fun as always inspired on the fifties (I see is is a little Mad Men met Prada and had a baby). 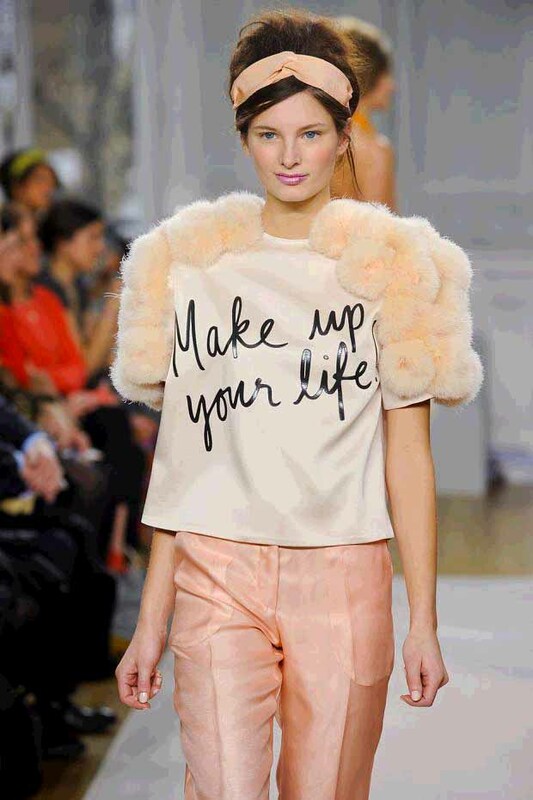 But the one thing I take for now is the closing message of the t-shirt of the model “Make up you Life” If I was you I would use that one every season ;). Oh and did you see the shoes? : Yes they are flat too!